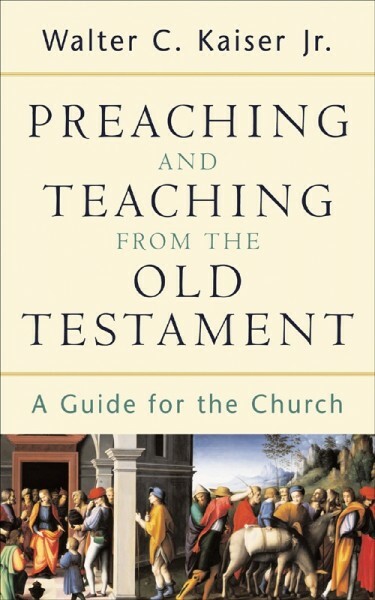 With Preaching and Teaching from the Old Testament, renowned Old Testament scholar Walter Kaiser offers a helpful guide for preachers, professors, and students. Developed out of tried and tested teaching material, this book exhibits Kaiser's straightforward and accessible writing style. The opening chapters deal with the value, problem, and task of preaching from the Old Testament. Kaiser then provides a practical focus by examining preaching and teaching from the texts of various genres (proverbs, prophecy, torah, etc.). A final chapter examines the relevance of the Old Testament in speaking to a contemporary audience. Pedagogical features include a glossary, and a suggested outline/worksheet for expository preaching.